7-pack of pre-rolls. Full flower cannabis. Each preroll is .7 grams of fine, Indica cannabis rolled to perfection in unbleached flax paper and with a sturdy, filterless crutch to give you a clean smoking experience. Each preroll provides you with the laid back, warmth and comforts of being stoned. These joints are a sweet, and discreet way to give you a full-body mellow on the go. 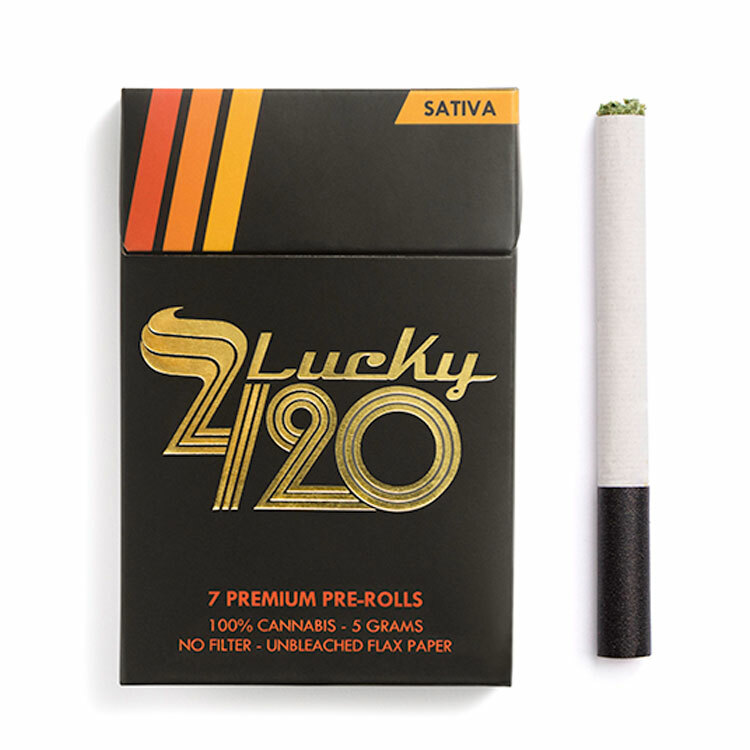 Each preroll is .7 grams of fine, Sativa cannabis rolled to perfection in unbleached flax paper and with a sturdy, filterless crutch to give you a clean smoking experience. Each preroll provides you with an uplifting, euphoric head high that will get your creative juices flowing. These joints are a sweet, and discreet thrill on the go.